Signed to Janelle Monae’s Wondaland Records, Nigerian hip-hop and R&B artist Jidenna finally releases his debut studio album after the success of his 2015 single “Classic Man”. The project comes with a lot of backstory, having been completed months ago but delayed due to Jidenna’s desire to release the project on the anniversary of his father’s death. The title, The Chief, is a direct reference to his father’s status as a powerful Igbo chief. His status led to a significant amount of danger in Jidenna’s life, as the artist even recalls being protected by armed militia when attending the funeral in Nigeria. The lyrical content of the album frequently refers to life in a Nigerian tribe, while delivering an innovating and fresh combination of African-influenced “highlife” music with many diverse and different aspects of modern urban contemporary music. Such a refreshing style accompanied by Jidenna’s delivery, lyricism and storytelling ability makes for an immensely enjoyable project which keeps listeners on their toes throughout. There is a wide range of sounds present on this project, despite keeping a general running theme of the African influence – many tracks come with deep-voiced chanting, prominent drum patters and other tribal aspects – but they are mixed with modern features. Trap hi-hats, use of Auto-Tune, aggressive synths that could have been featured on “Watch The Throne” and the type of melodic R&B sensibilities that made a song like Kent Jones’ “Don’t Mind” a hit are scattered over the hour-long runtime. Most of the collaboration is with fellow Wondaland artists, production being handled mainly by “Classic Man”-helming Nana Kwabena, though Jidenna himself admirably has credit on many of the songs including primary credit on R&B-influenced standouts “Trampoline” and “Bambi”. Kwabena, Roman GianArthur, and label boss Monae all appear in small roles on the mic as well. Jidenna divides his singing and rapping about evenly across these 14 tracks, most resembling Ty Dolla $ign and Chance The Rapper respectively in his style of delivery. Despite referencing so many other artists, the unique sounds that are displayed on many of these songs create something that is completely Jidenna’s own, imbuing aspects that others use with his personal style and story. “Bambi” is the greatest breath of fresh air present – it is as if he took an old standard and threw a great trap beat on it. This is the most highlife-inspired track on the project and it makes me want to learn more about the genre. It sounds like the wave of 50s music and Motown that is making a comeback on pop radio today. Such a simple and beautiful melody that intersects perfectly with the bright looping keys in the background. This is a truly innovative track that is a clear standout on a great album. As “Bambi” tells the story of a chief’s traditional practices of polygamy keeping him from devotion to the one woman he cares about, the lyricism pertaining to Jidenna’s personal story and Nigerian roots throughout is the main thing that makes these songs so distinctive. 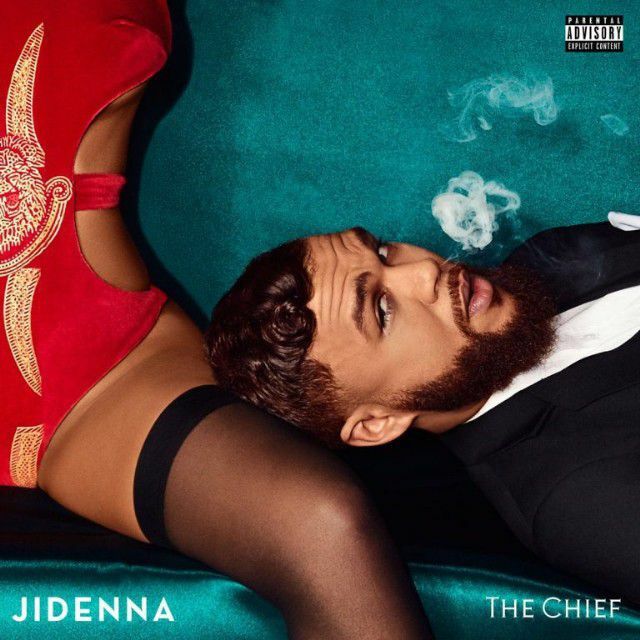 Even the basic uses of references to things like The Lion King, safaris, and himself as a chief in his punchlines remind us of how bold Jidenna is as an artist and reinforce the importance and deliberate choice of the accompanying musical backdrop. His storytelling is at is most profound and affecting on the song “White Ni**as”, where he imagines a world where the roles are reversed and stereotypical white families faced the same issues of discrimination, racial profiling and police brutality as black families do today – the police “kick in the door, knocking over your golf clubs…spilling your Napa Valley Wine”. Jidenna is perhaps at his best when his music turns dark and aggressive, demonstrating the strength of the threats he issues at his detractors as the chief. The crunchy and dissonant industrial beat and delivery on hard-hitting rap track “Long Live The Chief”, and pitched-down and menacing trap chorus of “Helicopters/Beware” are perhaps the best examples of drawing listeners into the energy of how great it feels to be on top as the chief. The only thing the album is truly missing is cohesion. Perhaps a more deliberately ordered album would have come across better. As we continuously jump back and forth between different styles of modern urban music, it can start to feel like blatant imitation of all facets of the music industry despite the other unique aspects of the tracks. If we had more running themes, like putting similar tracks such as the smooth R&B “Bambi” and “Adaora” or heavy trap “Helicopters/Beware” and “The Let Out” closer together. Other anomalies like the purely pop-rap (but incredibly catchy) “Little Bit More” abound as well. The Chief is a great example of what happens when an innovative artist with a unique story is unleashed on the world. All of the music here, while taking aspects from the current popular hip-hop landscape, could only be Jidenna’s. Should he extend the risks he took on his debut album to the rest of his career, we are witnessing the birth of a truly great artist.